Why Do Market Researchers Play the Lottery? I work around a lot of astute market researchers. These are individuals who have advanced statistical training and often advanced degrees. They are the type of people who should be able to see that from an odds-of-winning standpoint, playing the lottery makes no rational sense. Yet, if anything, they seem more likely to play than other people I hang around. This is because these folks know that when the jackpot reaches a certain level, your expected return can actually exceed your expected investment. The odds of winning the Mega Millions jackpot are 1 in 258,890,850. This means that you have a 0.0000004% chance of winning. Double that if you buy two tickets! Here are a few things that are more likely to happen to you than winning the jackpot: getting hit by lightning, bit by a shark, or getting a hole in one. Or, likely all three at the same time. Because there are lesser prizes other than the jackpot, your odds of having a winning ticket of some sort are actually a little better than 1 in 15. But, many of these prizes just allow you to get your $2 back, and what fun is that? 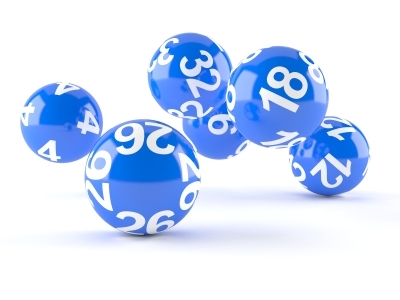 With odds of winning the jackpot being about 1 in 259 million and the tickets costing $2, if you consider the jackpot only, the lottery will have an actual expected return greater than $2 whenever the jackpot reaches $518 million or more. If you consider the money paid out with lesser prizes, your $2 investment can be expected to yield more than $2 whenever the jackpot reaches $363 million or more. So, does it make rational sense to play the Mega Millions if the jackpot is >$363 million? Not so fast! There are other factors involved. First, the government will take their share in taxes. How much depends on how you take the payments and where you live. In June 2013, a person Florida claimed the $590 million Power Ball jackpot. Her lump sum payment was $371 million. This is before taxes. After taxes, that will likely be a third less. Her $590 million jackpot quickly became $247 million. With this math, you keep roughly 42% of the jackpot, so perhaps it is time to discuss the concept of deceptive marketing with the State governments. Using this 42% discount, the break-even for the $2 investment then becomes $864 million. Which is a figure larger than any previous jackpot, so in practice there has never been a lottery that pays off on average. Also, you can’t assume you’ll be to sole winner, which tends not to be the case with large jackpots. So many people play these large jackpot lotteries that the odds of having unique numbers declines. Of course, you can do something to help your odds of being the sole winner if you do win. I’d suggest picking number combinations that are as likely as any others to come up victorious, but that most people can’t see ever winning. I pick numbers like 5, 10, 15, 20, 25, and 30. Or, 20, 21, 22, 23, 24 and 25. Want to have fun with the non-statistically inclined? Tell them that the numbers 1, 2, 3, 4, 5, and 6 are just as good as any others to choose. So, why do market researchers play the lottery? Of course it makes no rational sense to play the lottery, but you do get value beyond the potential of winning. For $2, you get to dream about what you would do with the money if you won. That alone is probably $2 worth of value. Or perhaps you derive some value from providing additional tax revenue to your state government. The money is largely used for education after all!